The Porano Table Lamp features a distressed porcelain finished in a mossy-green glaze with rust undertones and dark, bronze metal details. The square bell shade is a rusty-beige linen fabric. Designed by Carolyn Kinder International. Available to trade professionals at Uttermost.com. 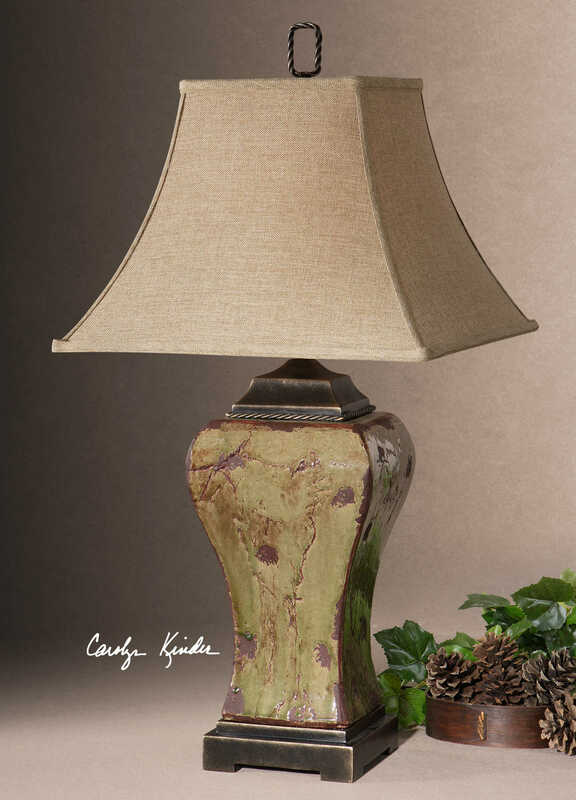 For retail purchase Google search term “Carolyn Kinder Porano Table Lamp”.